I made it to the end of art week. Yay me! 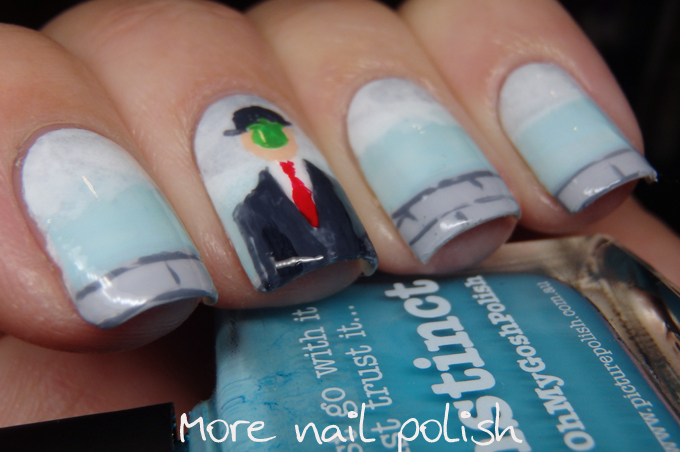 The artwork depicted in today's mani was actually one suggested by my husband. I quizzed him by asking what he thought was a well known painting that was more or less achievable to for me to paint as nail art. Eg don't suggest a da Vinci, Monet or Rembrandt. He said to me, what about that painting of a man in a suit with an apple covering his face that is in the movie The Thomas Crown Affair. First challenge was to work out what that actual art work was called. Of course google is just the most excellent thing, and typing "apple face art" as an image search bought the desired painting up immediately. The actual name of the artwork is called The Son of Man and it was painting in 1964 by Belgian surrealist painter René Magritte. 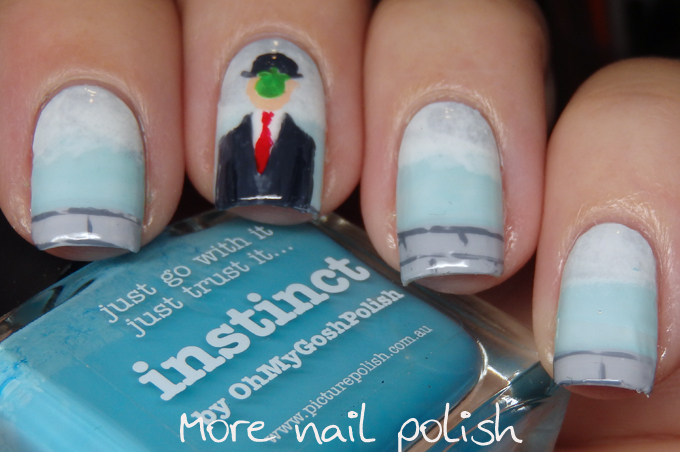 I liked that the painting and a rather simple background that I could spread across my other nails. 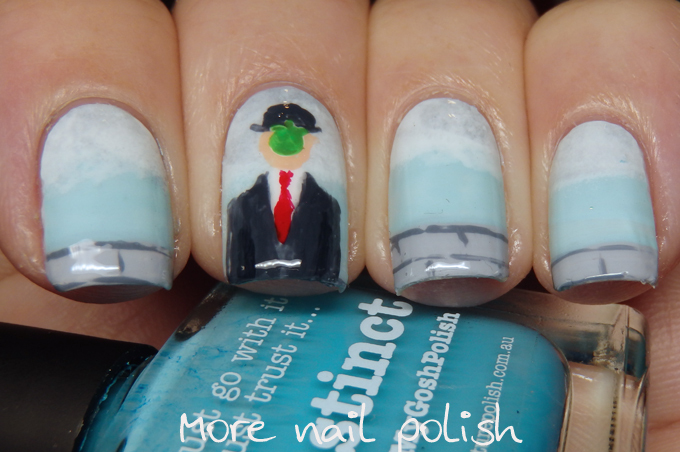 The dude in the suit was all painted free hand with polish. Thanks for swinging by for another DD week!